Hello everyone, today’s post is about the new skin cream which is for winters. This is the Fair and Handsome Winter Fairness Cream. 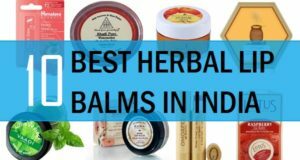 The cream is a skin creams which is not just a fairness cream but is made for the winters too. 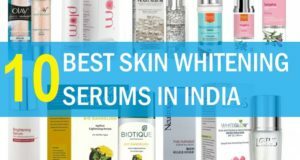 Do you know guys, why they make winter skin whitening creams? This is because a lot of the whitening creams are low on the moisture or we should say, they are not as moisturizing, so when the weather changes, skin appears dry and rough. This is why a lot of brands involve in making the cream that can make the skin appear visibly fair and stay hydrated as well. 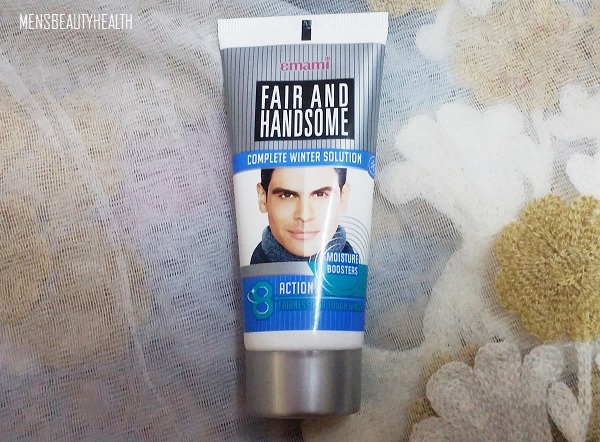 This Fair and Handsome Winter Fairness Cream was launched 2-3 years ago approximately and I have used it earlier as well, so, this is the second time, I bought the new pack, so let’s start with this review on Fair and Handsome Winter Fairness Cream. 125 Rupees for 60g product. This is also available in small 30 g pack. 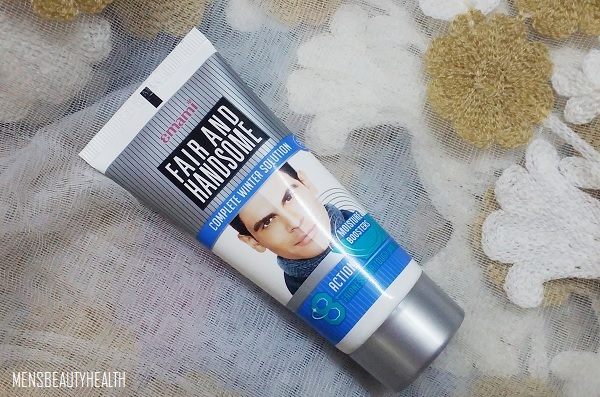 Fair handsome complete winter solution cream gives moisturizing benefits for winter without compromising the fairness. Fair and Handsome Winter Cream is packaged in a carton which is adorned with the silver and blue colored lettering pack. The tube too looks similar as the design and printing is the same that is there on the outer carton box. I liked its packaging and it really appears good. The size of the tube is small enough to be carried while you are travelling. Like, I have this 60g pack which is okay for a month’s usage. I think it may last longer than a month even if I apply it twice in a day. By the way, I apply my skin cream two times in a day to get the maximum results from the product. 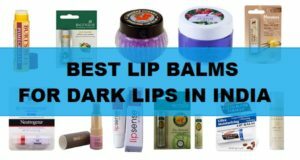 This is a fairness cream basically, but guys honestly, I do not like to use fairness creams just to get the fairness, but these creams can help in minimizing the sun tan if not the fairness so, I like to try creams like these. These days men too like to stay groomed and looking good is not just for the women. Men too like to keep their skin appears spot-free and revived. The cream has a whitish creamy color and the texture is smooth. Thankfully, the formula is not greasy or sticky. 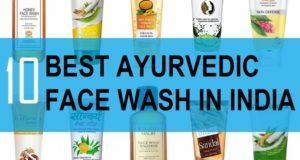 I do not like to use products which are sticky or greasy in texture as my skin is already oily which gets combination in winters. 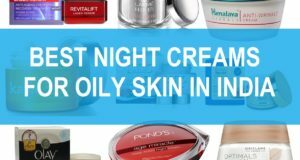 So, there is no point in using skin care products that makes the skin oily further. Coming back, the cream is non oily and blends nicely on the skin. I have used few skin creams which were not able to blend nicely on the face and this also makes them appear ashy on the face. In short, some fairness creams can give white cast on the face. The smell of this cream is subtle and bearable there is nothing that will make you cringe or shrink you nose up. So, in short, starting from the packaging to the blend-ability of the cream ending at the smell, everything was good for this Fair and Handsome Winter Fairness Cream. I have been using this cream for the past 2 weeks and trust me guys, I like how it make the skin look after the application. I just take a blob of this fairness cream and apply on my entire face in that dotted method. Yes, when we apply the skin creams in a dotted manner, then they get applied and blend easily. So, you should also try this method if you do not do that currently. My skin is oily so the oils appears after 2-3 hours on my nose and then after 4-5 hours on my entire face. So, this is not an oil control product but yes, is a good product for men for winters. I liked this cream and would like to try this even after the pack gets over, at least for this winter season. Boys with very dry skin may feel that this fairness cream is not able to give adequate fairness to the skin. 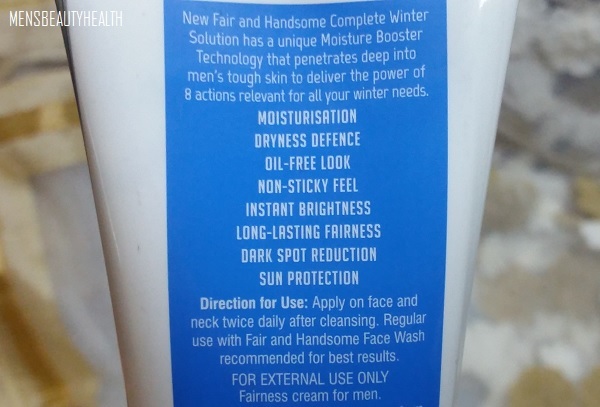 Fair and Handsome Winter Fairness Cream is a very affordable and easy to get winter fairness scream for men that they can try in winters. The creams is quick to blend and does not leave that terrible white cast and ghostly fake fairness type of look on the face. It makes the skin look matte post application and in winters, keeps the skin moisturized but not greasy.